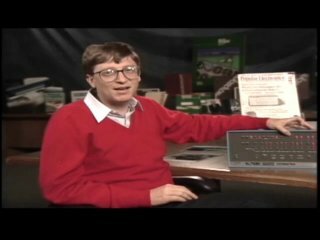 For Microsoft, 1989 brings the availability of Office for the Macintosh, Steve Ballmer is promoted to Senior Vice President and we announce the availability of Microsoft Flash File System, a file system for Intel's flash memory technology. The 1989 fiscal year-end sales total $804,530,000. The 1989 fiscal Year employee headcount totals 4,037people. Microsoft Informatica Limitada (Brazil), Microsoft Israel, Ltd., Microsoft AG (Switzerland), Microsoft N.V. (Belgium), Microsoft Taiwan Corporation, Microsoft Puerto Rico, Inc.
Microsoft unveils the promotional campaign for Excel for Windows, targeting users who are considering purchasing or upgrading to future releases of Lotus 1-2-3. The campaign includes an exchange offer for 1-2-3 users, free evaluation copies, and nationwide Excel seminars. Microsoft and The Santa Cruz Operation, Inc. announce that Microsoft will make a minority investment of less than 20 percent in SCO, the world's leading developer and publisher of UNIX System software. Since 1981 the two companies have worked together to develop and market XENIX, the first commercial version of the UNIX operating system. 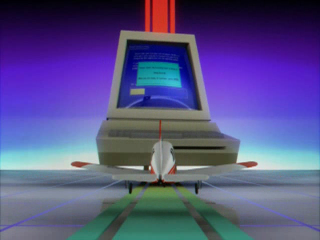 Microsoft hosts the Fourth International Conference on CD-ROM, "Seeing Is Believing," in Anaheim, California. Among the innovations this year are an on-site electronic mail system; simultaneous translation of all sessions into Japanese via a wireless headset system; and a CD-ROM Industry Yearbook. Microsoft and Ashton-Tate announce the shipment of the Microsoft SQL Server 1.0. The product is the result of a joint development effort of Ashton-Tate, Microsoft, and Sybase. SQL Server is a powerful, relational database server for PC-based Local Area Networks (LANs). Steve Ballmer is promoted to Senior Vice President. 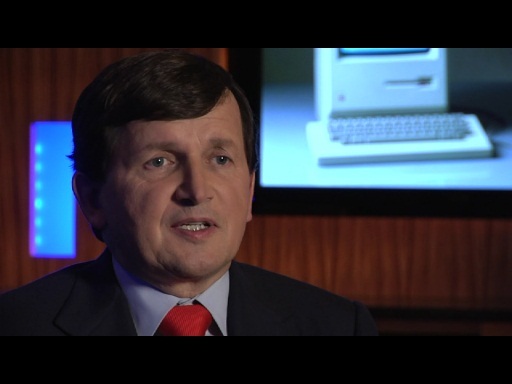 He had been Vice President of Systems Software since 1984. He will report to Jon Shirley, President. Microsoft forms the Multimedia Division, dedicated to the development and marketing of multimedia systems software and consumer products. Microsoft Mouse sales surpass two million units, twice the number sold less than one year ago. It took Microsoft five years to ship the first million units, but it has taken only one year to ship the second million. In August, Microsoft introduced a re-designed product that has accounted for 1.5 million of the total units. The Usability Group opens its new in-house testing facilities with an open house to demonstrate usability procedures and showcase a range of new data-collection equipment. The usability group tests interfaces, documentation, and instructional materials. The first Financial Analyst Meeting is hosted at the Corporate Campus. 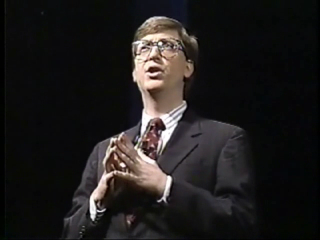 Speakers include: Jon Shirley, Bill Gates, Frank Gaudette, Mike Maples, Jeremy Butler, and Scott Oki. Microsoft announces OnLine Plus, a comprehensive software support service that gives corporations priority access to senior technical support staff. The service includes unlimited telephone access through a private phone number and electronic access to high-level support personnel and an extensive database of product information. The Microsoft Velvet Sweatshop logo sweatshirts are created in response to a Seattle Times cover article intended to reveal the true working environment at Microsoft. The article alleges that employees are working long and dedicated hours that preclude any personal life. A complete Chinese MS-DOS® version 3.21 will be provided to licensed OEMs and shipped in the future by representatives in Taiwan. As a service to users in Taiwan, a retail version of the Chinese MS-DOS operating system will be made available to end users on a temporary basis. 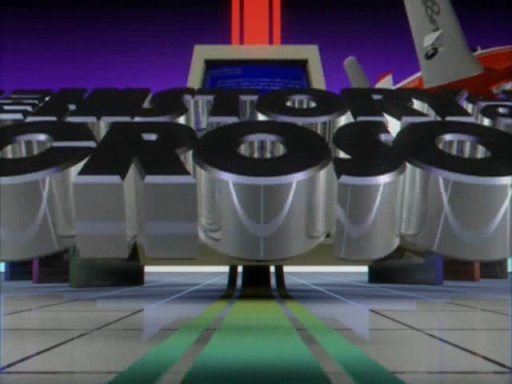 This will be the first time a retail version of MS-DOS had been made available directly to customers. Microsoft announces the availability of Microsoft Flash File System, a file system for Intel's flash memory technology. This system allows MS-DOS to support new memory storage devices as well as traditional storage media. It allows the MS-DOS end-user to use flash memory in exactly the same way as a conventional disk drive. 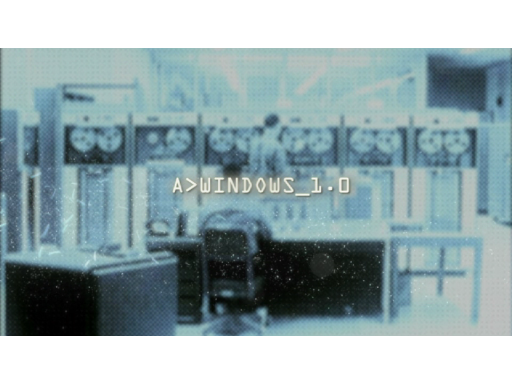 Microsoft will license the Flash File System in binary form to OEMs. 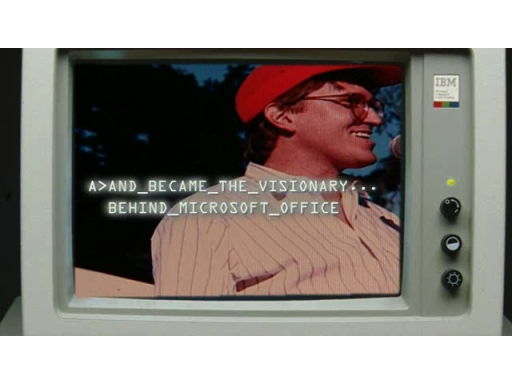 Microsoft announces that Jon Shirley will retire as president and chief operating officer on June 30, 1990. Shirley, president since August of 1983, will continue to play a role in the management of the company as a member of the Board of Directors and as a consultant for strategic projects. Quick C Compiler 2.0, OS/2 LAN Manager 1.21, Programmer’s Library 1.10, Word 4.0 for Mac, QuickC Compiler with QuickAssembler 2.01, Quick PASCAL Compiler 1.0, FORTRAN Optimizing Compiler 5.0, Word 5.0 for MS-DOS & OS/2, OS/2 Presentation Manager Toolkit 1.0, Excel Mac 2.2, Microsoft Mail 2.0, Software Development Kit for Gateways (MS Mail), Software Development Kit for Applications (MS Mail), Software Development Kit for HyperCard (MS Mail), Works 2.0 for PC, MS-DOS ROM 2.0, Flight Simulator 4.0 for PC, Excel 1.0 for OS/2, Microsoft BASIC Professional Development System 1.0, OS/2 Presentation Manager SDK 2.0. · End of the Cold War: The New York Times declared the Cold War over as the Berlin Wall came down, East and West Germany discussed reunification, Poland and Czechoslovakia installed non-Communist governments, Lithuania nullified its annexation to the Soviet Union, and the Romanian dictator Nicolae Ceausescu was killed in a violent uprising. · Bush: George H.W. Bush sworn in as the 41st president of the United States. · Milli Vanilli: Milli Vanilli won the 1989 Grammy for Best New Artist. The award was later revoked when it was discovered that their entire album was lip-synched. · Tiananmen: China imposed martial law as pro-democracy demonstrators occupied Tiananmen Square in Beijing. · New chip: Intel introduced the 80486 microprocessor. · Earthquake: The 6.9 magnitude Loma Prieta earthquake hit the Bay Area, setting the Marina district of San Francisco ablaze, collapsing double-deck roadways on I-880 and the Oakland-Bay Bridge, and delaying Game 3 of the Oakland-San Francisco World Series. · Panama: American troops invaded Panama and ousted dictator Manuel Noriega. · Afghanistan: The Soviet Union withdrew its last troops from Afghanistan, after a nine-year attempt to impose a Communist government. 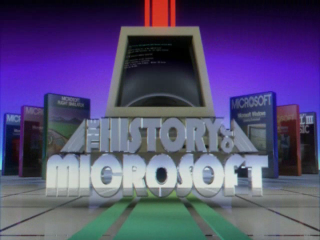 · Today at Microsoft: The Today Show taped in Seattle and featured Microsoft. 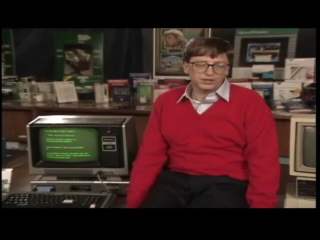 Bill Gates discussed the role of CD-ROMs and graphics in personal computers. · Exxon Valdez: The tanker Exxon Valdez ran aground in Prince William Sound, Alaska, causing the largest oil spill in North American history. 11 million gallons of crude oil contaminated over 1,200 miles of shoreline. · Steroids: Canadian Ben Johnson, gold medal sprinter at the 1988 Seoul Olympics, admitted that he had used steroids and was stripped of his medal. · Hirohito: Emperor Hirohito of Japan died at age 87. He was succeeded by his son, Akihito. · Rushdie Condemned: Iran’s Ayatollah Khomeini declared Salman Rushdie’s novel “The Satanic Verses” blasphemous and offered a $1 million bounty for his death. Rushdie went into hiding in England. · Hurricane Hugo hits Carolinas: With winds up to 160 MPH and a 20 foot storm surge, Hugo killed 82 and was one of the costliest hurricanes in US history. · Peace: The Dalai Lama won the Nobel Peace prize. 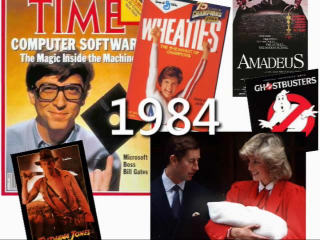 · Movies: Top grossing movies of the year included “Batman,” “Indiana Jones and the Last Crusade,” “Look Who's Talking,” and “Honey, I Shrunk the Kids.” “Rain Man” netted Oscars for Best Movie, Best Actor (Dustin Hoffman), and Best Director (Barry Levinson). · The COMPAQ LTE family of personal computers are the first notebook-sized portables to offer full functionality. 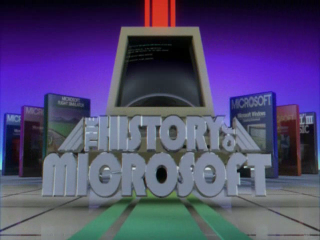 The History of Microsoft - 1999: The Series Finale! Do Bill's glasses get bigger each year? Their ALBUM was lip synced? The videos and live performances where but someone had to sing the songs for the original recordings. I don't know why they didn't just give the Grammys to the real singers after the truth was revealed. That's some killer reverb, Tina, would you mind hooking me up with some? Glasses were always massive in the 80s, its like the bigger they are the more money you have. That was true of victorian times but not today lol. Anyway another good video, really enjoying watching this series.